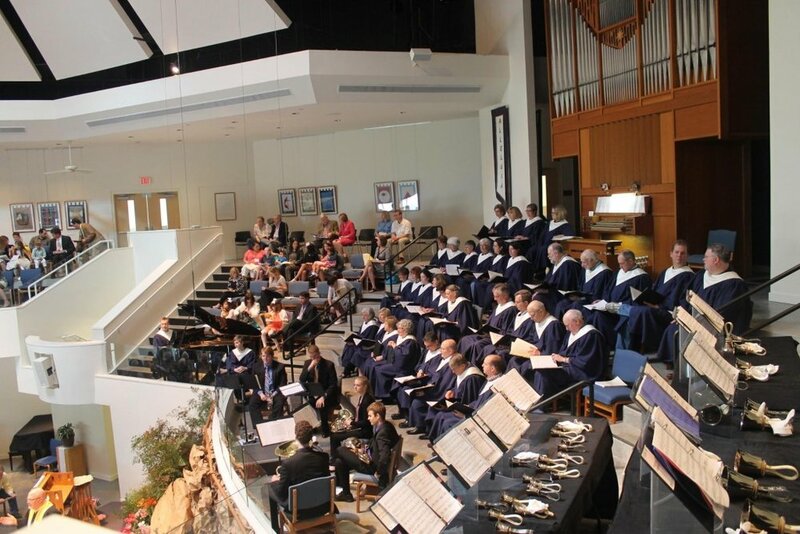 Historically, music and the arts have been an important part of the mission and ministry of Northaven. Music stirs the soul and lifts the spirit in worship, and those who create music enjoy a unique sense of fellowship and service. The Arts, including not only the visual arts but also drama, dance, and preparing the sanctuary for meaningful worship, have increasingly enhanced the life of our community. Many talented volunteers give themselves to the task of making this happen and you are invited to become one of them. Northaven is blessed to have among its membership a number of artists, writers, architects, dancers, poets, playwrights, actors, landscape and interior designers. Such interest in art and culture is a blessing in many ways and is reflected not only in the building itself but also enhances the sense of joy and beauty for all who enter it.